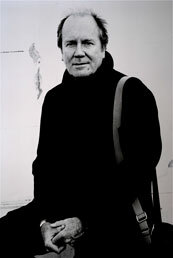 William Boyd was born in Ghana and grew up there and in Nigeria. He studied in Nice, Glasgow and Oxford and went on to lecture at St Hilda's College, Oxford for three years. His first novel, A Good Man in Africa, was published in 1981 and won the Whitbread First Novel Award and the Somerset Maugham Award. He has since published eleven further novels - including an authorised James Bond novel, Solo - three collections of short stories, a school-era memoir, School Ties, and a collection of his non-fiction, Bamboo. His books have won numerous prizes, including the Costa Novel Award, the John Llewellyn Rhys Prize, the James Tait Black Memorial Award, the Los Angeles Times Book Award for Fiction and the Prix Jean Monnet. An Ice-Cream War made the 1991 Booker Prize shortlist and Any Human Heart featured on the 2002 longlist. 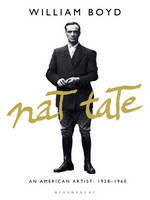 In 1998, he was also responsible, with rock star David Bowie, for a hoax perpetrated upon the art world, when he published the 'biography' of the fictional artist Nat Tate, convincing a number of eminent critics to claim familiarity with his oeuvre. His film and television writing credits include original scripts and adaptations of Mario Vargas Llosa's Aunt Julia and the Scriptwriter and Evelyn Waugh's Scoop, along with four of his own novels, A Good Man in Africa, Stars and Bars, Armadillo and Any Human Heart. He is a Fellow of the Royal Society of Literature and an Officier de l'Ordre des Arts et des Lettres. He has been presented with honorary Doctorates in Literature by four universities and, in 2005, he was made a CBE. His latest novel, Sweet Caress, follows the life of photographer Amory Clay, from her early work as a society photgrapher in the 1920s, taking on assignments in Weimar-era Berlin, the Blackshirt marches, World War II and the conflict in Vietnam. The novel is illustrated with 73 found photographs, intended to represent Clay's ouevre, showing how she offered a lens on some of the most dramatic events in 20th-century history. In this exclusive interview for Foyles, William talks about following characters from cradle to grave, when photography came of age and why collaborating on other projects is good for a novelist. This is the fourth time you've created an entire fictional life, after John James Todd in The New Confessions, Logan Mountstuart in Any Human Heart and, less conventionally, the eponymous Nat Tate. Does tackling a complete lifespan, rather than the slice of life seen in the majority of fiction, broaden the perspective further beyond the story at each book's heart? Yes, I think it does. The ‘cradle to grave’ life is rare in the novel (not least because it’s damn hard to do!) but the benefit is that the reader has a level of intense engagement with the fictional character -- knows ‘everything’, and that is different. Certainly, my readers’ reactions to Todd, Mountstuart and, I hope, Amory, are on a different level. They know it’s fiction but it’s almost as if that character is savoured as an old friend, or family member. It’s most peculiar but fascinating and rewarding. Sweet Caress is, however, the first time you've presented a female protagonist, which makes many of the social changes of the years through which Amory lives even more striking. Was this your principal reason for a female lead? My feeling was that, having done two full male lives, I really should try and 'do' a woman’s life as well. As you know, I’ve written from a woman’s point of view many times and as a result wasn’t inhibited by the prospect. I also wanted to make her a photographer and the lives of women photographers in the 20th century are particularly interesting – often long and rackety! How did you come by the dozens of photographs used throughout the novel to illustrate Amory's career? I have quite a collection of anonymous photographs my own (post Nat Tate) and, once the novel was written, I duly set about acquiring others in junk shops, antique fairs (particularly in France) and online. I reckon I had about 2000 photographs at the end of the day – out of which I made my selection of 73. It was a fascinating process – a parallel creative process to the writing of the novel. Does Sweet Caress perhaps also stand as a documentation of journalistic photography's golden era, before digital photography, the world wide web and citizen journalism changed it so fundamentally? That was never really the plan but there’s no doubt that the analogue 'film' image seems to have an integrity that the digital one doesn’t. It was interesting, as I bid for photographs on line, to see how intense the market was for some of these unique images. Some Kodachrome slides, for example, were being bought for hundress of dollars (not by me). There is an authenticity about the unique photographic image that people want and cherish. My ‘celebration’ of these images is a by-product, however, it wasn’t a primary aim. Many of the events that Amory documents are matters of record. Do you find that grounding fiction in historical reality enhances the verisimilitude the times you're portraying? Well, I’m a realistic novelist. I want the world of my novels and their denizens to seem absolutely authentic, so that suspension of disbelief occurs all the more readily. The more verisimilitude, the better, is one of my mantras. Intriguingly, the photographs contribute enormously to this sense that you’re reading something real, true -- not imagined. When this works in fiction it’s amazingly powerful. Amory crops up at a Blackshirt rally, in occupied France and with American troops in Vietnam. Were there other significant eras in which you considered placing her? Not really. She went to areas, eras, historical moments, that have always intrigued me – one of the blessings of a fictional life rather than a real one. I could steer her wherever I willed. Early in her career, Amory's photography falls foul of the prevailing moral standards of the day, first in her unconventionally informal social photographs in the 1920s and then with her risqué portraits of Berlin at its most decadent. Do you feel that the candid authenticity of photography was seen as threatening by society's more conservative elements? I think photographers realised in the 1920s and 30s that the image could be as powerful as the word. Think of August Sander; think of Brassai and others. These photos are still incredibly affecting and open up a world to us that we know about intellectually – but to have them presented visually is something else. Reportage and photojournalism came of age between the wars. Now it’s commonplace but then it was destabilising, I think. What are the origins of the fascinating diversion that Amory's uncle introduces her to, and which she find herself returning to throughout her life, in which they offer a snappy summary of acquaintances summarise someone in four adjectives? It’s an idea I had, quite simply. One of those things that come to you while you’re writing. I have a feeling it may catch on! People who’ve read the novel are beginning to play Greville’s Game. You've written screenplay adaptations of a number of your novels, including Stars and Bars, A Good Man in Africa and Restless. Does the idea of bringing Sweet Caress to the screen appeal at all? It does. But it’s a whole different process. The book comes first and is always there. Adaptations can be fun – and work very well on their own terms. I think Any Human Heart and Restless work on screen in their own way and have an effect akin to reading the novels. Curiously, a good adaptation always takes viewers back to the text. The aesthetic pleasures are entirely different. Similarly, the writing pleasures are entirely different also. It’s a collaboration – and I think it’s good for a novelist to collaborate. Good for the soul!